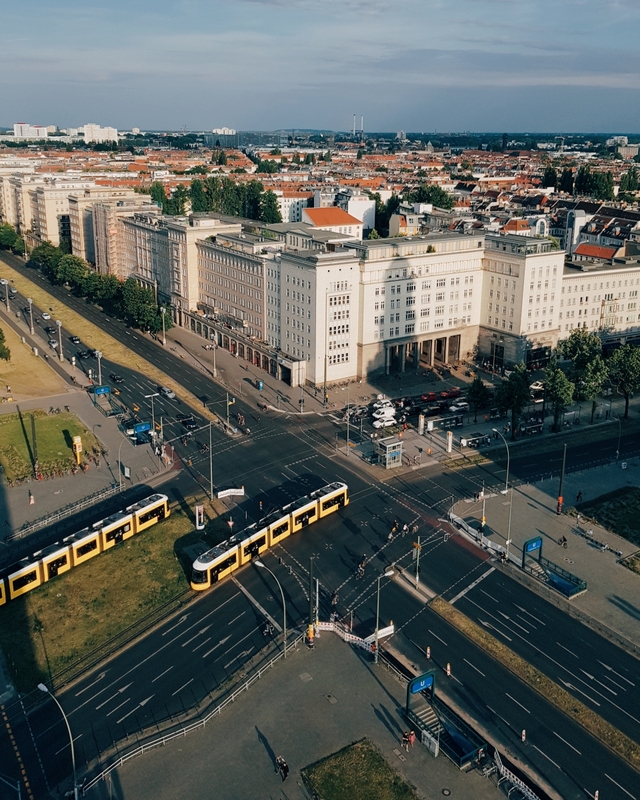 The recent sale of dozens of iconic buildings inhabiting thousands of people along Berlin’s grand boulevard Karl-Marx-Allee by a private real estate company is symbolizing the sinister developments in the city’s housing market. But is it all just sell, sell, sell, cringe and carry on, or who has the final say here? 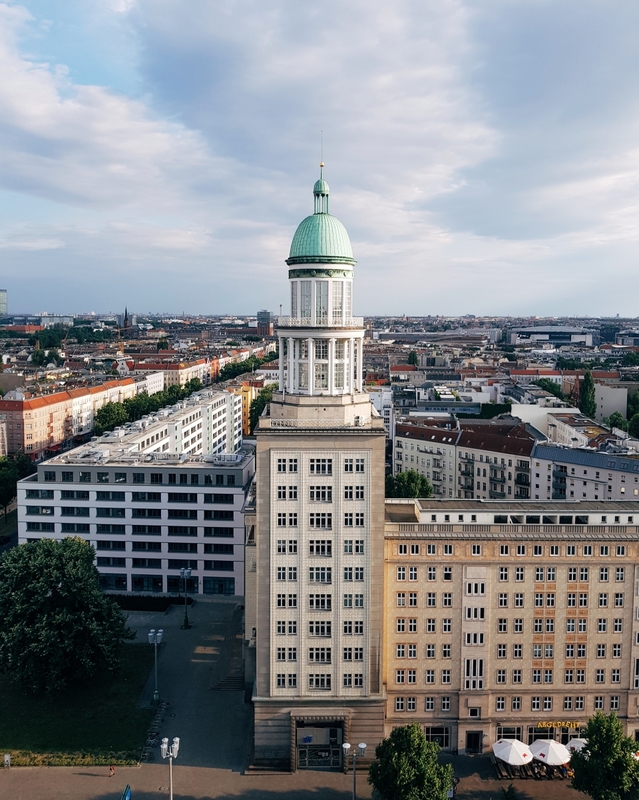 700 apartments in Berlin’s famous, postwar, palace-like apartment blocks along what was formerly known as GDR’s prestigious ‘Stalinallee’ change ownership. The buildings were acquired by ‘Deutsche Wohnen’ – the largest private real estate firm in the capital region, often criticized for its rigorous rental increase politics. – Oh my. I live there myself. What now? I probably wouldn’t care as much if finding an apartment in Berlin was still a stroll in the park. But Berlin is one of the fastest growing cities in Europe. In 2016 alone, Berlin’s registration offices counted 60.000 people more, while the number of apartments only grew by 14.000… Do the maths. Shortage of supply impacts the price: Overall, rents have increased by more than eight percent annually in the last years. In early 2018, I read: “Urban development in Berlin is in the greatest crisis since the fall of the Berlin Wall,” in Berlin newspaper ‘Der Tagesspiegel’, while a friend of mine accepted a 16 square meter room in a WG in Neukölln for 700 Euros out of pure desperation-, and I sighed… Now, my apartment got sold to the private investor of them all. ‘Deutsche Wohnen is known for apartment conversion. Simply put: Renovating and improving the value of a building or an apartment in order to rent it out for even more money. It’s a sad story that has become shockingly normal for many Berlin tenants in the last years. A friend’s rent was raised in absurd amounts because his landlord decided that his bathroom needs a little polishing. Others were told to move out of their places for ‘Eigenbedarf’ (personal need) just to put some fresh paint on the walls and put it back on ‘Immoscout’ for 200 Euros more. These days, an apartment contract from 2010, ‘13 or ‘18 can make a difference of up to 500 Euros. That shabby but glorious and ridiculously cheap ‘Altbau’ apartment in Kreuzberg is a dream long gone. Despite ‘Deutsche Wohnen’ itself reassuring otherwise, will they turn these socialist workers’ apartments into luxury flats? – The bitter irony of that…“The fact that the former workers’ palaces were privatized in the early 1990s was bitter and wrong in the first place. If there is a realistic chance of correcting this mistake, in part, we will make use of it,” Senator for Urban Development Katrin Lompscher (Die Linke) commented on this paradox in the German left-wing newspaper TAZ. Karl Marx Allee and its gigantic architecture are a monument to socialism. These classicistic, eight-story buildings, constructed in between 1952 and 1960, were, despite their opulent looks, built for ‘normal’ people with ‘normal’ income. Still today, Karl-Marx-Allee represents a uniquely diverse demographic. 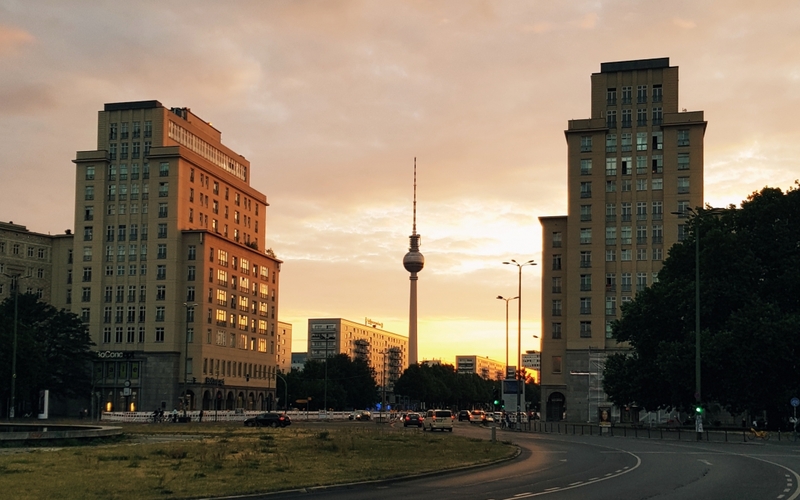 From Berghain DJs, university students, and single mid-forties, to the young family next-door and that lovely grandma on the eighth floor who always stores my mail – ‘Stalinbauten’ are a Berlin microcosm in between thick concrete walls that’s now in the hands of private investors. But there are ways to defend ourselves. Not only through actual activism, but something as groundbreaking as knowing about German law. ‘Gladly’, this country loves rules of regulations. That’s annoying when it’s regulating us, but great when it’s regulating your landlord. Many people don’t seem to know how much power tenants actually have. Contracts, for example, are often filled with clauses not even based on actual law telling tenants all sorts of things to scare them. Even if you sign this contract, these clauses will be nothing but words without meaning. The Berlin Tenants Association is a great source to find out more about your rights as a tenant and provides all sorts of information in different languages. 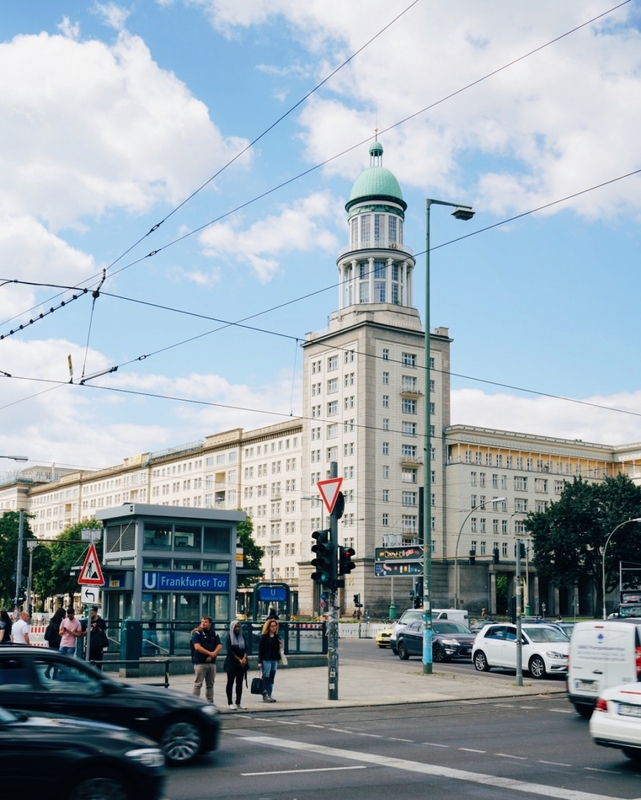 On a political scale, Berlin’s left-wing government has pushed many great ideas supporting affordable housing that, however, lack large-scale execution. ‘Mietschutz Mileus’ (areas of rental protection) are one of the most prominent examples that basically aim at keeping landlords from doing whatever they wanna do. Which is great but so far there are only 50 of these throughout the city. “Knowing how far the conversions of rented flats into condominiums has increased in recent years, it becomes clear how important strategic expansion of protected areas in Berlin is,” Sebastian Scheel (Die Linke) told the print paper ‘Berlin Morgenpost’, but the local government can’t fully realize their plans in Berlin as these are restricted by German federal laws, according to ‘Die Linke’. Politics… *rolls eyes*. We can’t wait for politics to get it together. That’d be pretty un-Berlin anyways. The housing market in Berlin has become rough. It’s about what we do now, how we organize and defend ourselves. The Berlin newspaper Tagesspiegel started an initiative called ‘Wem gehört Berlin?’ (Who owns Berlin? ), a good example of creating visibility for public point of views. Making use of their power as a media platform, they try to support tenants and disclose corrupt and illegal developments in the cities housing market. If you want to help, you can write them and provide information. Meanwhile, dear ‘Deutsche Wohnen’, I’m gonna read my contract very thoroughly and get ready to snap right back at you.